Feedstock Understanding the composition of any feedstock is key to the efficiency and durability of the process equipment. All feedstock requires qualification to ensure suitable equipment is specified, typical feedstock photographs are provided within the Feedstock section. Machines Krysteline offers a wide range of equipment capable of processing throughputs from 2 -30t/hr. The technology can be offered as individual components for stand-alone operation, integrated into existing plant or offered as a turnkey package. Imploders offer size reduction of feedstock without destruction of associated materials. 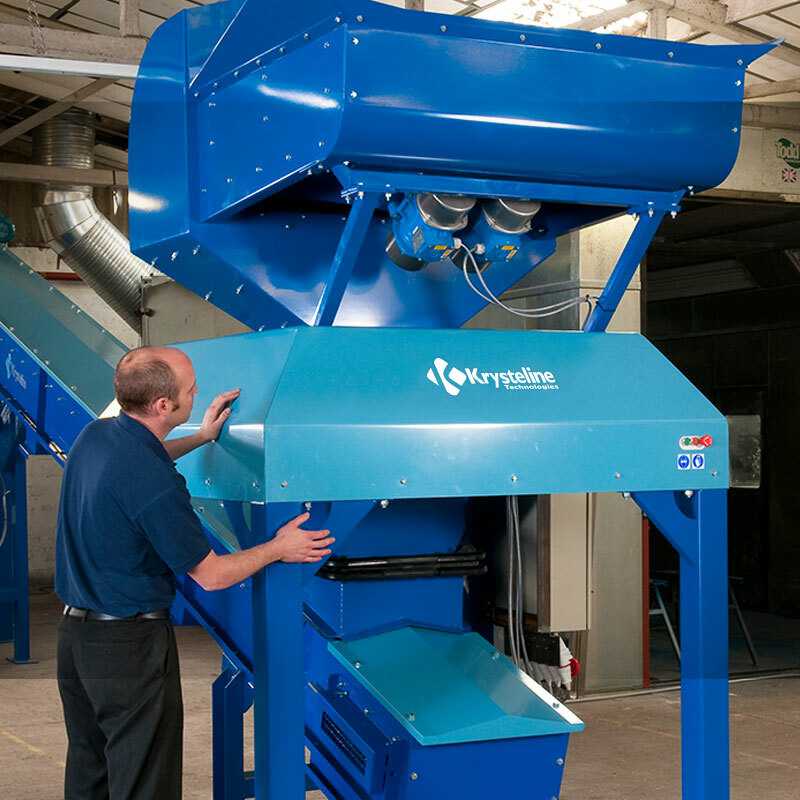 Recovered materials can be separated through a range of screeners, magnetic separators and fully refined with the market changing Pyro Drier. Product The quality of processed material is determined by the feedstock quality, moisture content and installed technology. The Krysteline strategy is to diligently consider the feedstock and provide the technology which ensures the client’s expectations are met. Product quality can range from aggregates to fully purified sands and powders for filtration and abrasives.